Batman’s greatest foe is getting his own big screen movie. 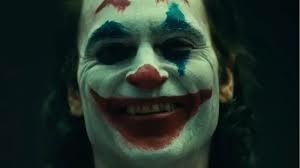 After being played by many famous actors, this iteration of the killer clown is portrayed by Joaquin Phoenix. Wearing a distinctive Taxi Driver vibe, Joker looks like it will continue the pattern of darkness found in most of the DC universe movies. Joker hits theaters this fall. Will you be there? Holy Martin Scorsese! Homage to DeNiro!